Ratatouille…it sounds like rat..and patootie! I know, I’m sorry, I just had to throw in a line from the movie! For those of you who aren’t familiar with the line I just wrote, it’s from a Disney movie called Ratatouille. This has nothing to do with the actual French vegetable dish usually eaten in the form of a stew, but it is a great way to get your kids to eat this dish! 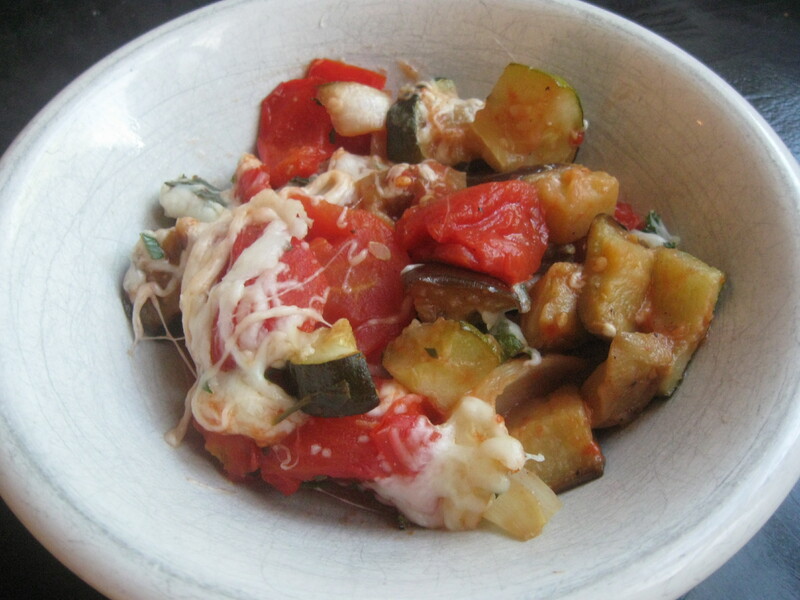 As I said before, ratatouille is a French vegetable dish usually eaten in the form of a stew, but this recipe is a more updated version. You roast the vegetables, giving them 10x more flavor, and you add a ton of cheese! Who doesn’t love cheese? Even better, this can serve as a vegetarian entrée, a vegan entrée (without the cheese), or a fantastic side dish to steak, pork chops, or chicken breasts. And , it’s even better the next day! 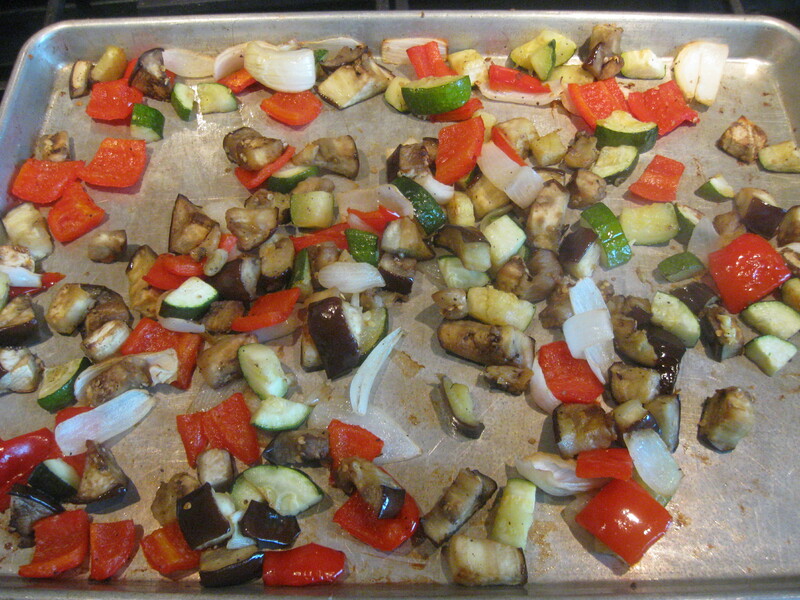 Place the first 5 ingredients on a sheet tray and drizzle with the olive oil and salt and pepper. Toss with your hands to combine. Roast them at 400 degrees for 45 minutes, flipping every so often. See how they get all nice and caramelized! 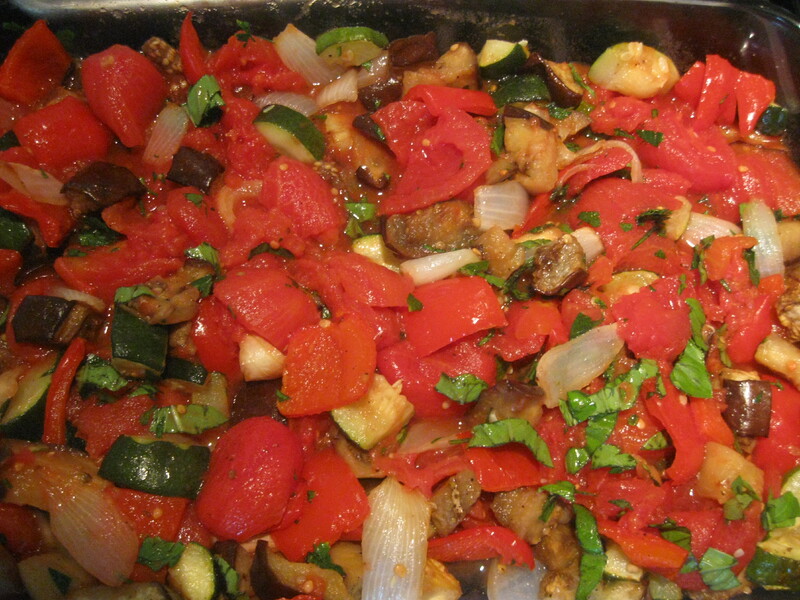 Chop up the tomatoes and add them (and their juices) to a 9×13 baking dish along with the vegetables, basil, and parsley. Cover with foil and bake for another 20 minutes. Sprinkle the cheese over the top and bake uncovered for another 8-10 minutes. And as they say in France, Bonne Chance! 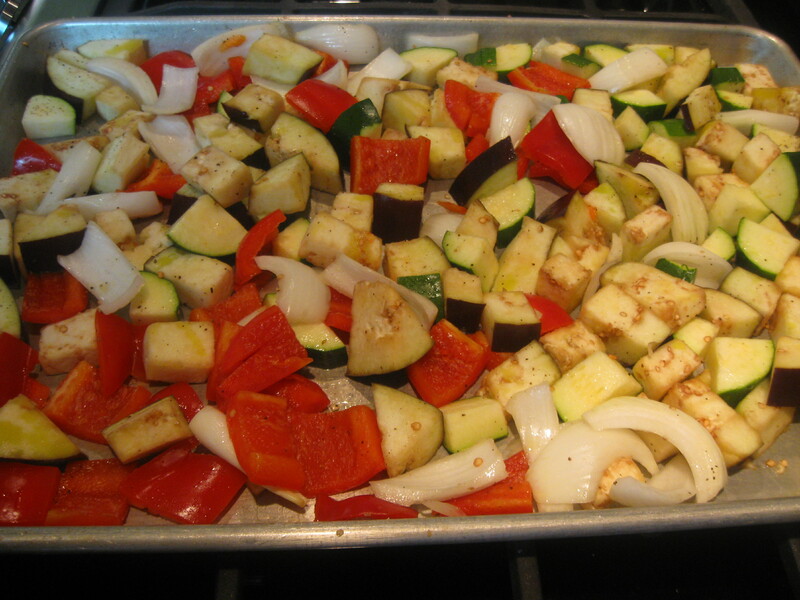 "Roasted Ratatouille with Cheese" was written June 30th, 2011	by Cooking with Katie, and filed under Super Side Dishes and tagged Cheesy, Ratatouille.